Recently, Paul Simon released a double-CD collection titled Songwriter that focused on the many great songs he wrote throughout his career. Now his equally famous musical partner has just put out his own collection that surveys his solid and impressive body of work.The Singer is appropriately titled given that Art Garfunkel possesses one of the greatest and unmistakable voices in pop music. Certainly his work in Simon and Garfunkel speaks for itself, as indicated on some of the duo’s tracks are on The Singer (“The Sound of Silence,” “Scarborough Fair” and of course the immortal “Bridge Over Troubled Water”) — but his solo career sometimes gets overlooked. Aside from the Paul Simon songs, Garfunkel has proven to be a great interpreter of other people’s compositions, whether it’s by Jimmy Webb (“All I Know,” “Scissors Cut”) or the masters of popular song like Rodgers and Hammerstein (“Some Enchanted Evening”). 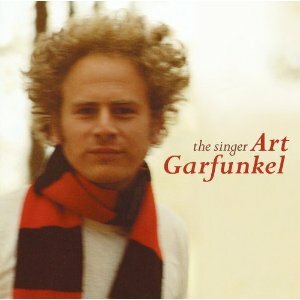 The collection features some of Garfunkel’s best solo work (“Breakaway,” “A Heart in New York,” “I Only Have Eyes for You,” “99 Miles from L.A.”) as well as some recent material from the album Everything Waits To Be Noticed (“The Thread” with Maia Sharp and Buddy Mondlock) and a new song “Lena.” The Singer definitely puts Garfunkel’s solo career in much needed perspective.